It also helps that I'm a huge fan of Japanese makeup. I find them of generally really, really, really high quality and I'm a fan of Kanebo foundations, in particular. My favorite is the Kanebo Luster Cream Foundation as it works best on my textured, dry skin. I think Kanebo is able to make such dewy-looking and skin-like foundations! I will forever be a fan of Japanese foundations’ pearl-like finish. There’s something about how their foundations bounce light off in such a diffused manner that the foundations never look glittery nor wet; they just make you look smoother and lit from within. Blooming, in short! 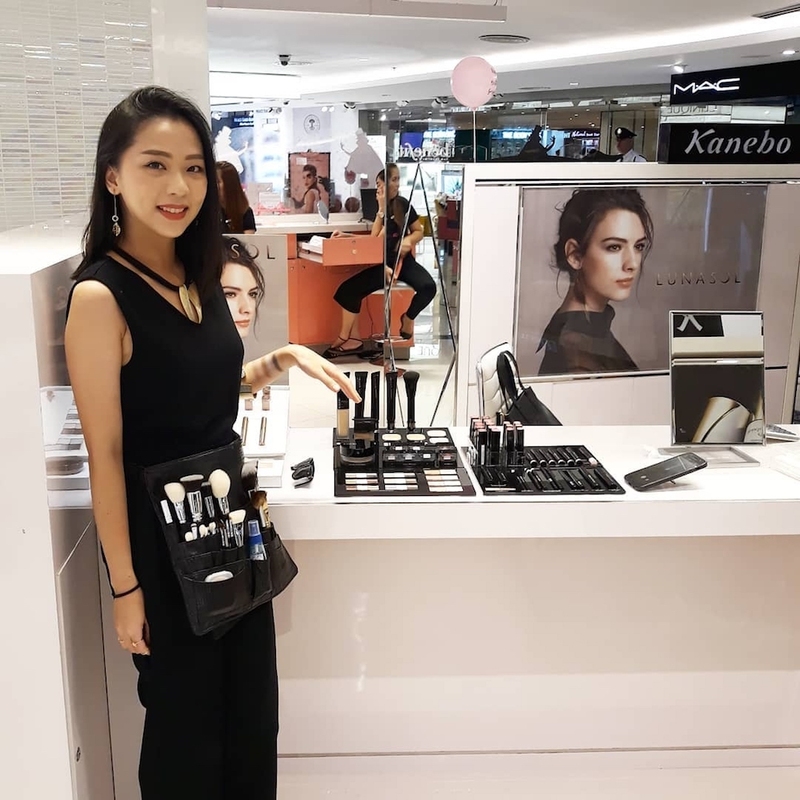 When I arrived at the counter, the newest item was the Luster Powder Foundations (PHP 5400) which looked great on our oilier-skinned visitors. 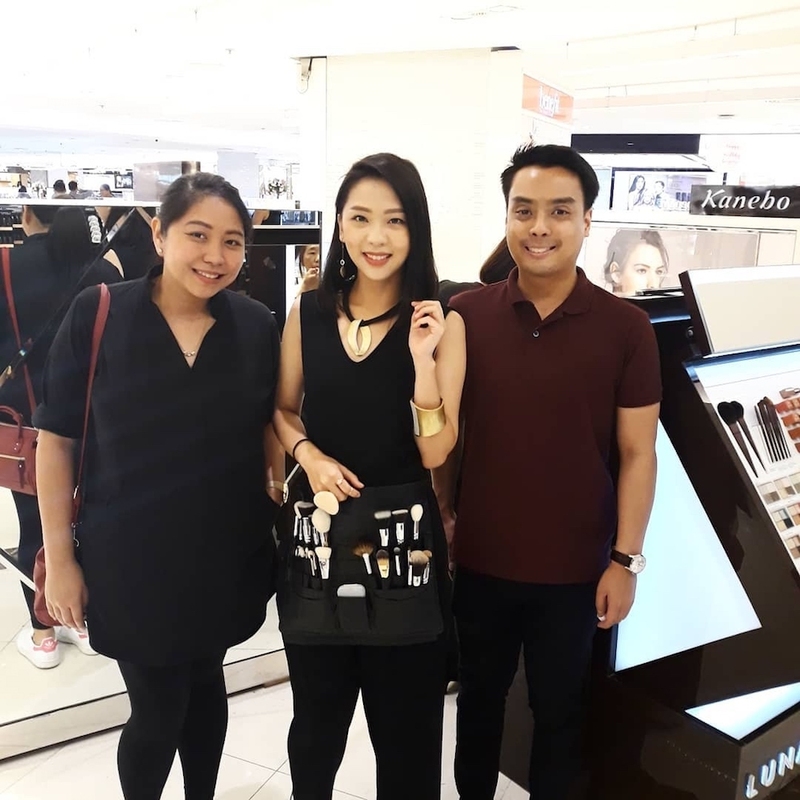 As much as I wanted to tell everyone about this item though, it wouldn’t suit them all and our more mature VIPs still looked best in the Luster Cream, while people with drier or combination skin looked best in the Full Radiance Liquid Foundation (PHP 3300). It was pretty entertaining to see people appreciate and get surprised with the finish. Kanebo foundations are severely underrated! While I was not really focusing on eyebrows, everyone seemed to love the brows I drew on with the Kanebo Pencil Eyebrow in 01 or 02 (PHP 1200). My go-to brow products are always pencils, and the thin lead of these automatic pencils are pretty easy to use. They deposit soft pigment that tends to flatter the dewy-fresh aesthetic of the foundations. 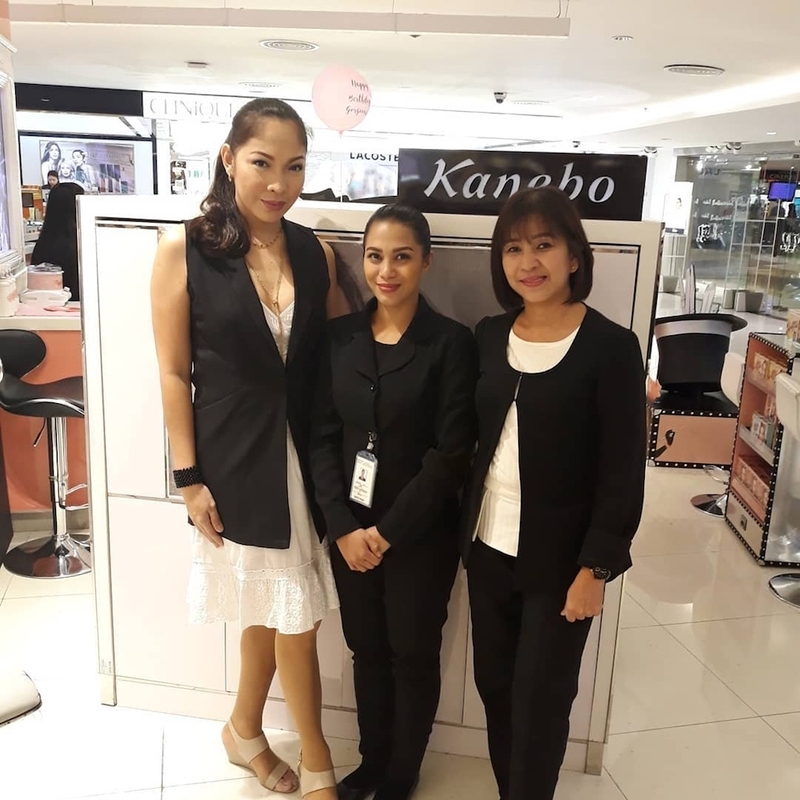 I also had a blast using the Kanebo Mono Eyeshadows (PHP 1920) on our VIP guests. Subtle shimmers are my jam, and these JELLY-LIKE eyeshadows absolutely killed me! The shimmer is set on a creamy, translucent jelly base that is such a joy to use with your fingers. It sets into a powder finish, so it doesn’t really feel uncomfortable, and the effect is just absolutely stunning. Subtle, yet party? Hahaha! If you are more for really pigmented eyeshadow looks, you can use these as a glittery base!